ten years to produce, has 256 fact-packed pages and contains 4000 superb coin photos, plus 500 other illustrations, diagrams, tables and maps. As the study of ancient British coins has expanded from slow beginnings and with publication and re-interpretation adding to our knowledge, so the mountain of information has grown. It has often been said that we stand on the shoulders of the giants who preceded us, and this is indeed true of the pioneers in the study: Sir John Evans, Derek Allen, Commander Mack, Clem Lister, etc. It is by following their initial guidance and thoughts, taking note of and interpreting new finds, that Chris Rudd and Liz Cottam have been able to produce the incredible publication, Ancient British Coins. This, like many other authoritative publications, will become known as and referred to simply by its initial letters, ABC, and will remain an indispensable reference work for many years to come. Part Three, headed "Other helpful stuff”, really is just that. An ABC fact identifier illustrates the coins in their metal order of gold, silver and bronze, referring back, via its number, to the main listing. 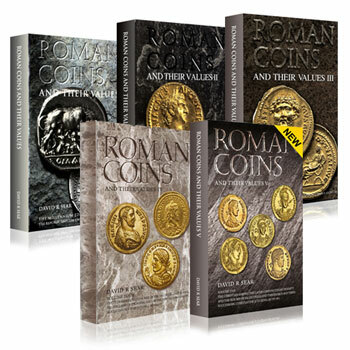 Interesting essay are located here on The Celtic Coin Index; Ancient British Coins in the British Museum; The Portable Antiquities Scheme (PAS), and indexes to significant British kings and tribal names, and a very useful four-way concordances between ABC numbers, Van Arsdell, British Museum, and Spink Standard Catalogue numbers. The highly detailed in-depth Bibliography covers 18 double-column pages. This has been designed as a very visual and user-friendly book. 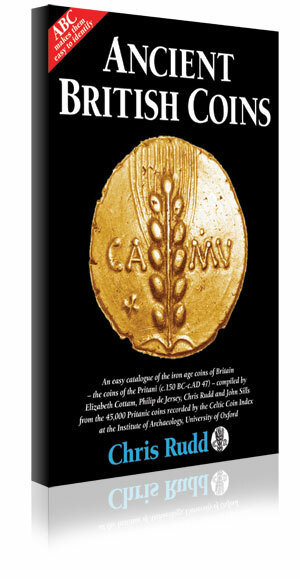 There is no question that although the book will be very large and difficult to fit on the book shelves, and also an initial hefty investment in buying it, for anyone who is interested in or involved with ancient British coins, this is worth its proverbial weight in gold. It is a magnificent source book that will hold the field for a very long time.